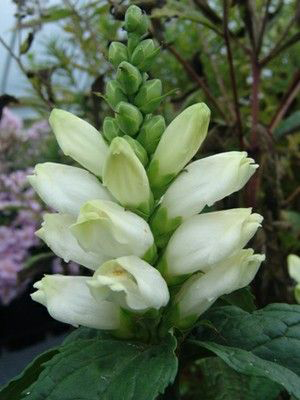 White Turtlehead is an herbaceous, perennial, smooth herb that grows about 2 to 4 feet tall and spread 1.5 to 2.5 feet. The plant is found growing in margins of swamps, wet woods and rivers, woodland garden sunny edge, dappled shade, shady edge and bog garden. It best grown in moist to wet, rich, humusy soils in part shade and appreciates good composted leaf mulch, particularly in sunny areas. The plant’s root system consists of taproot and rhizomes and has smooth, stout, upright stems. Each pair of opposite leaves rotates 90° from the position of the pair of leaves immediately below. Leaves are 8 inches long and 1½ inches wide and they are linear-lanceolate in shape. 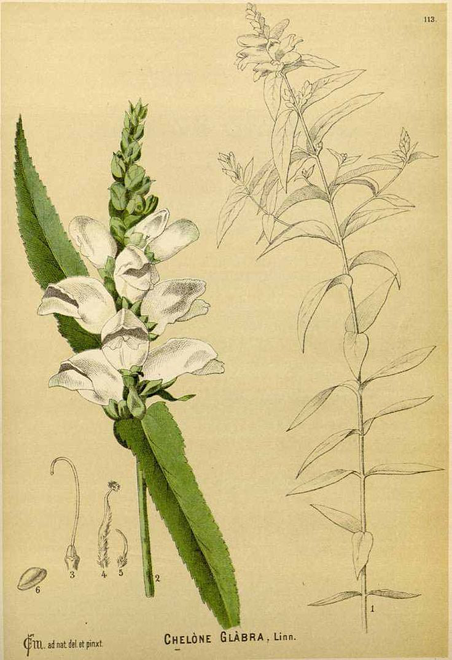 However, the typical variety of White Turtlehead has some leaves greater than ¾” and they are lanceolate or oblong-lanceolate in shape. 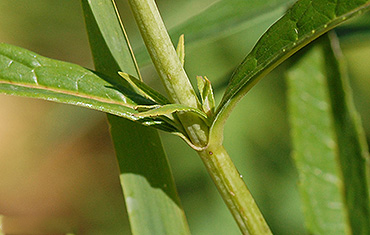 The leaves are hairless and finely serrated along their margins. At their bases, the leaves are sessile, or they have petioles that are less than ¼” in length. 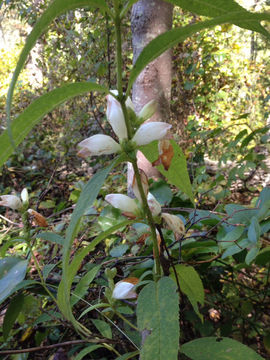 The central stem terminates in a dense spike of white flowers about 3-6″ in length, blooming from the bottom to the top. The leaves have a slight somewhat tea-like odor and a markedly bitter taste. 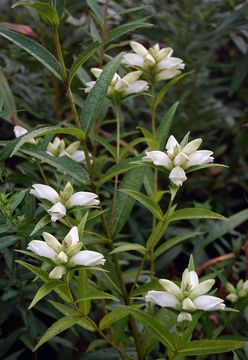 Each flower is about 1 to 1½ inches long, consisting of a 2-lipped white corolla, a green calyx with 5 oval teeth, a slender white style, and 5 hairy stamens. Four of these stamens have fertile anthers, while the remaining stamen is sterile and green. The tubular corolla is somewhat flattened at the mouth, where it is more wide than tall. The upper lip of the corolla functions as a protective hood, while the lower lip has 2-3 shallow lobes and functions as a landing pad for visiting insects. The lower interior of the corolla has abundant white hairs. At the base of the calyx, there are a few green bracts that resemble the sepals. Flower color is creamy white, sometimes tinged pink. Flowers bloom from the bottom of the spike up. 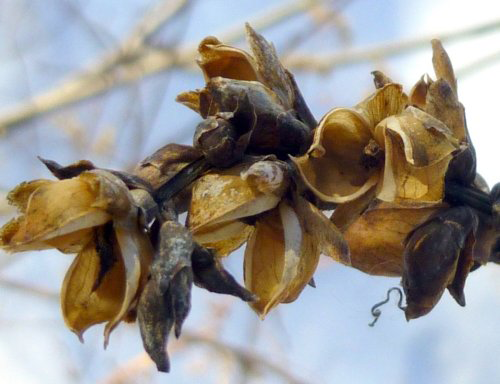 Each flower is replaced by an ovoid seed capsule containing several seeds that are flattened and broadly winged; these seeds can be blown about by the wind and probably float on water. 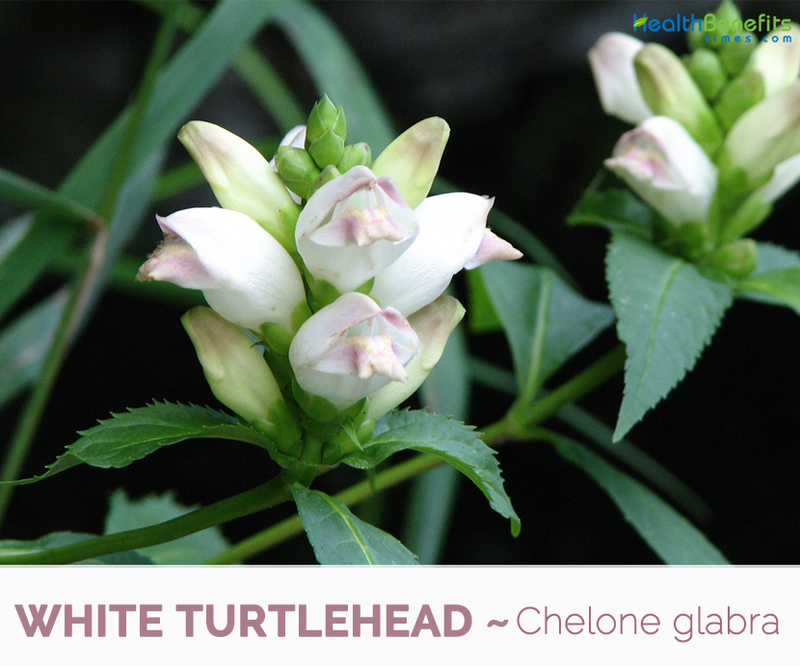 Chelone lyonii is the tallest of turtlehead species at 3-4 feet in height. It bears clusters of purplish-pink flowers from August through October. 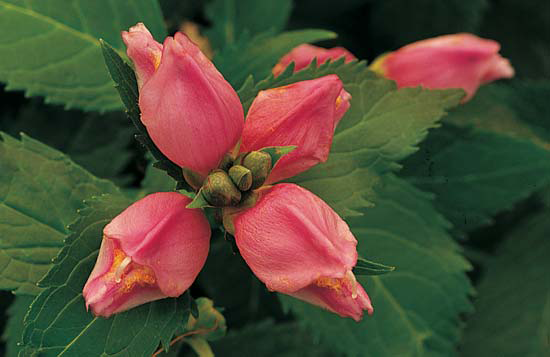 Chelone obliqua flowers look similar to those of pink turtlehead, but they tend to be slightly darker and are borne on plants that remain under 2 feet. Flowers can be used as a method of birth control, as used by Abenaki people. Balmony is a very bitter herb with a tea-like flavor that acts mainly as a tonic for the liver and digestive system. Herb also has anti-depressant and laxative effects. 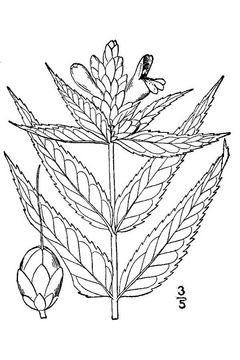 Decoction of the whole herb is anti-bilious, aperient, appetizer, cathartic, cholagogue, detergent, tonic, vermifuge. It is used internally in the treatment of consumption, debility, diseases of the liver, gallbladder problems, gallstones etc. It is used to relieve nausea and vomiting, intestinal colic and to expel worms. Its tonic effect upon the digestive system has made it of benefit in the treatment of anorexia nervosa. 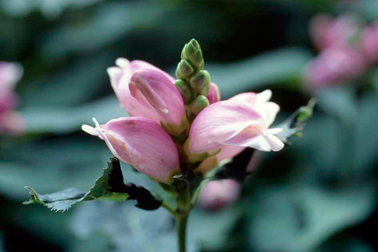 Externally, it is applied as a soothing ointment to piles, inflamed tumors, irritable ulcers, inflamed breasts etc. Leaves have anti-bilious, anthelmintic, tonic and detergent properties, with a peculiar action on the liver, and are used largely in consumption, dyspepsia, debility and jaundice, in diseases of the liver, and for worms in children for which the powder or decoction may be used internally or in injection. As an ointment it is recommended for inflamed tumors, irritable ulcers, inflamed breasts, piles, etc. Herb contains bitter substances thus it is regarded to helpful in stimulating appetite by increasing the secretion of digestive fluids. It is thought to be of values as a remedy for various liver ailments, and act as a general enhancer for the entire digestive system. 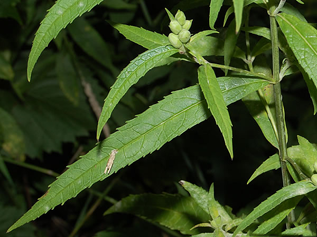 Balmony has been used as a natural treatment for gallstones, gallbladder inflammation, and jaundice. Herb has been used traditionally to relieve nausea, vomiting, and colic (intestinal cramps), and as a remedy for indigestion (dyspepsia), general weakness, anorexia and to get rid of intestinal parasites (worms). Balmony is regarded as a gentle herb that can be used by both children and the elderly, especially for digestive problems caused by prolonged diseases. The herb is also touted to have anti-depressant properties. Externally, the herb has been used in the form of ointment or liniment on hemorrhoids, inflamed breast, herpes and inflamed and painful wounds, cuts and scrapes. 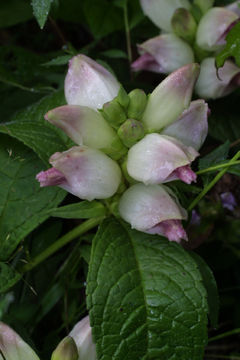 In the past, the Native Americans were known to have used balmony for blood purification purposes and as a treatment for atopic eczema (atopic dermatitis) and chronic rheumatic conditions. Liver diseases: Prepare a decoction of Dandelion root, Berberis Aristata (Kilmora) root and Chelona Glabra leaves. Take it twice a day. As a tea: is poured a cup of boiling water over 2 teaspoons dried herb in one cup of boiling water and let it soak for 10-15 minutes. The tea can be drunk three times a day. As a tincture: 1:10 with 40 % alcohol. Common dosage is 1-2 ml three times daily. It may cause Menstrual Disorders. It may decrease sexual interest and sexual dysfunction in Men. Seed Brown flat, round, winged seeds. 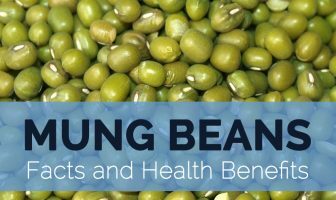 Young shoots and leaves were parboiled and panfried by some Indian tribes, especially in times of famine. The plant should be planted in pots to prevent the roots from creeping too far. Chelone glabra var. alba Michx. 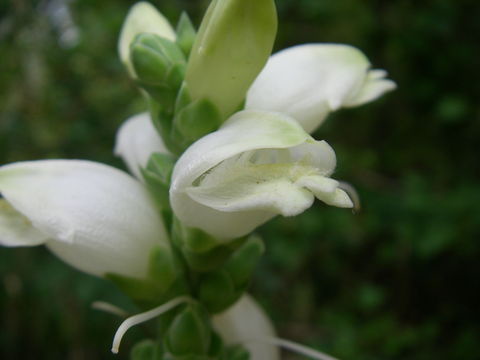 Chelone glabra var. capitata Raf. Chelone glabra var. chlorantha (Pennell & Wherry) Cooperr. Chelone glabra var. elatior Raf. Chelone glabra var. lanceolata Nutt. Chelone glabra var. maculata Raf. Chelone glabra var. obliquea Raf. Chelone linifolia (Coleman) Pennell ex Rydb.